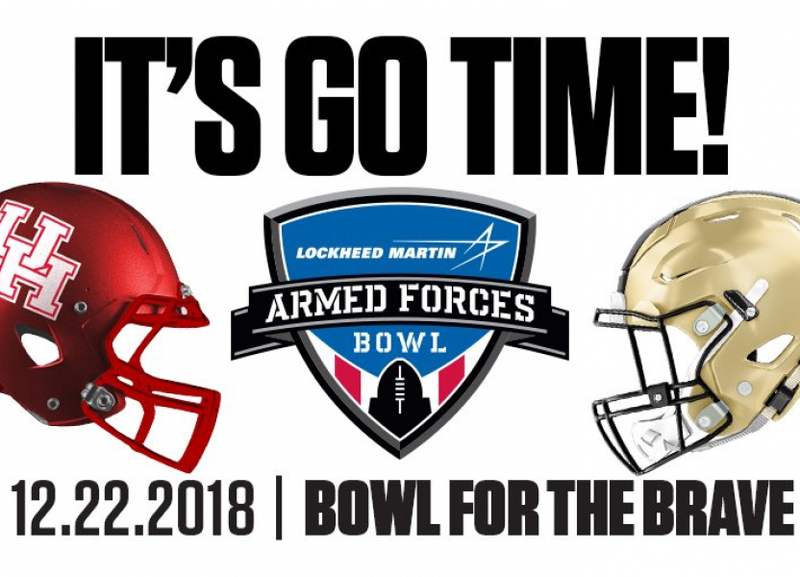 Your Army Black Knights take on the Houston Cougars this Saturday in the Armed Forces Bowl. But you already knew that. What else are you watching? Two perennial Army opponents go at it in an intriguing match-up that I’m certain to miss for the slopes of Mt. Snow. If we’re lucky, maybe we’ll catch part of the second half up in the Bullwheel lounge or maybe while we’re driving home. The Temple Owls (8-4, 7-1 AAC-East) just lost their head coach to Georgia Tech. However, they don’t seem to have lost much in the way of momentum. They finished the season with good-looking wins over Houston, USF, and UConn (57-7! ), and if not for a narrow loss to UCF on the road, that would have been enough to put them back in the American Conference Championship Game. By contrast, the Duke Blue Devils (7-5, 3-5 ACC Coastal) started hot—again—but finished barely above .500 after injuries wrecked the team’s depth, leading to inconsistent play especially on defense. I’ve seen some talk about Duke QB Daniel Jones playing at the next level, but he’s still got to show me something. He’s got the size, and he threw 17 touchdowns against just 7 interceptions this season, but he’s still just a 58% passer, and that’s not usually good enough for the NFL. He’s an intriguing prospect to be sure, but he’ll have to convince me before I’ll be ready to think of him as anything like an heir to Eli Manning. The Independence Bowl is Thursday, December 27, at 1:30 pm on ESPN. The Birmingham Bowl is maybe not a marquee match-up, but it’s certainly a game that offers some intrigue. 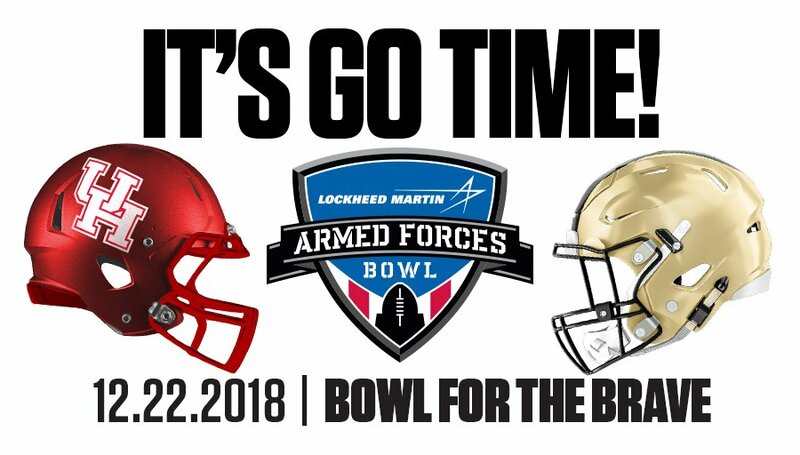 Both teams can really run the rock, so as warm-ups for the Armed Forces Bowl go, this one ain’t bad. Seriously. Wake Forest (6-6, 3-5 in the ACC Atlantic) is putting up almost 215 yards rushing/game while Memphis (8-5, 5-3 in the AAC-West) has run for a solid 285. Unfortunately, the Demon Deacons are allowing almost 200 yards/game rushing, so the defensive advantage seems solidly on the side of the Tigers. The Tigers have also put up 11 more points/game, which probably explains why they’re favored by 3.5 points. But Wake beat then #14 NC State towards the end of the season and laid an absolute whuppin’ on Duke 59-7 to close out their regular season schedule. So really, this game could actually go either way. Which Wake Forest team will we get? ESPN has the broadcast this Saturday, December 22, at noon. This game loses some luster without WVU quarterback Will Grier but I’ve watched both teams quite a bit this season, so I confess to more than a little curiosity to see how they finish. Syracuse (9-3, 6-2 in the ACC Atlantic) holds wins over NC State, Wake Forest, and Boston College, but they made a good bit of their reputation playing #2 Clemson close on the road back in September. They’ve been a solid rushing team this season, averaging more than 205 yards/game on the ground. By contrast, West Virginia (8-3, 6-3 in the Big 12) has been all about QB Will Grier, but he won’t be playing. The Mountaineers have rushed for an average 162.3 yards/game this season, and that’s not bad, but they’ve succeeded mostly through the passing game, and there’s no telling how that’s going to look. WVU remains a 1.5-point favorite. I wouldn’t bet that line for anything. Kickoff is at 5:15 pm Friday, December 28, on ESPN. I was kind of hoping that Army would wind up here in Boise State’s spot, but for whatever reason, that’s not the way things worked out. It’s a little weird because I think Boise got in on an open bid, but what do I know? I thought Boston College (7-5, 4-4 in the ACC Atlantic) looked good every time I saw them play, but they dropped late-season games to FSU and Syracuse, and that doomed them to also-ran status in the ACC. Meanwhile, Boise State (10-3, 7-1 in the MW-Mountain) made it all the way to the Mountain West Championship but ultimately lost to Fresno. Both teams have been pretty good at running the ball and stopping the run, but Boise has been much better through the air. They’ve also had a lighter schedule, which might explain why they’re just 2.5-point favorites. The First Responder Bowl is Wednesday, December 26, at 1:30 pm on ESPN. Paul Johnson’s last game at Georgia Tech (7-5, 5-3 in the ACC Coastal) offers maybe our last chance ever to see the triple-option flexbone in its peak, Power 5 form. Honestly, I love watching the Tech guys run this offense. Moreover, if Tech doesn’t make a substantial investment in its football program, there is a very real chance that its fans may soon look back on this as the golden age of Yellow Jacket football. Minnesota (6-6, 3-6 in the Big 10-West) also runs the ball pretty well—just not as well as the Jackets. The Golden Gophers have wins over Wisconsin, Indiana, and Purdue but losses to Northwestern, Illinois, Iowa, and Maryland. Not all those teams were powerhouses in 2018. The Gophers have also given up nearly 170 yards/game rushing. That’s not an ideal stat to bring to a game against a Paul Johnson offense. The line is Jackets (-6), and I think they cover. Kickoff is Wednesday, December 26, at 5:15 pm Eastern on ESPN. Hawaii Bowl: Hawaii vs. Louisiana Tech. Hawaii was supposed to be terrible this year, but they fooled around and won eight games. The rebuilding project looks to be well ahead of schedule, and oh by the way, the Black Knights are headed out to the islands for Thanksgiving in 2019. The line is Even, which makes this a must-bet on the Rainbows. The game is Saturday, December 22, at 10:30 pm on ESPN. Alas, that’s past my bedtime. Dollar General Bowl: Buffalo vs Troy. I’ve watched so much Buffalo Bulls football over the last few seasons that I’m starting to feel invested in the program. I also find myself wondering how much longer Coach Lance Leipold will be with the team. ESPN has the contest starting Saturday, December 22, at 7:00 pm. Music City Bowl: Purdue vs Auburn. This game makes the list not so much because it’s interesting as because I’ll be home on Friday the 28th, and after a couple of days of skiing, I’ll be looking to unwind for a few hours on my couch. Kickoff is Friday, December 28 at 1:30 pm on ESPN.